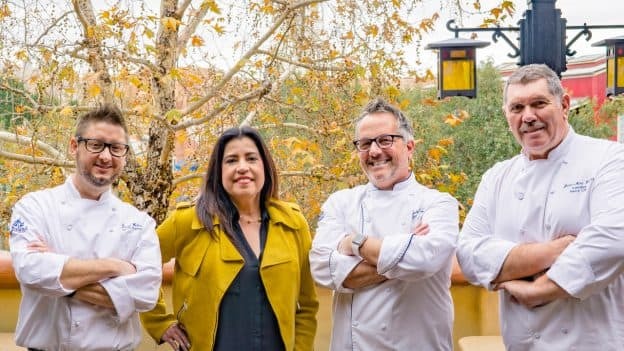 If you’ve ever wanted to meet the talented chefs and sommeliers behind the Disney California Adventure Food & Wine Festival, then this dining experience is an opportunity you won’t want to miss! For one night only during the festival, you can enhance your festival visit with a delicious four-course dinner where you’ll get the chance to meet with our talented Disney culinary team members. 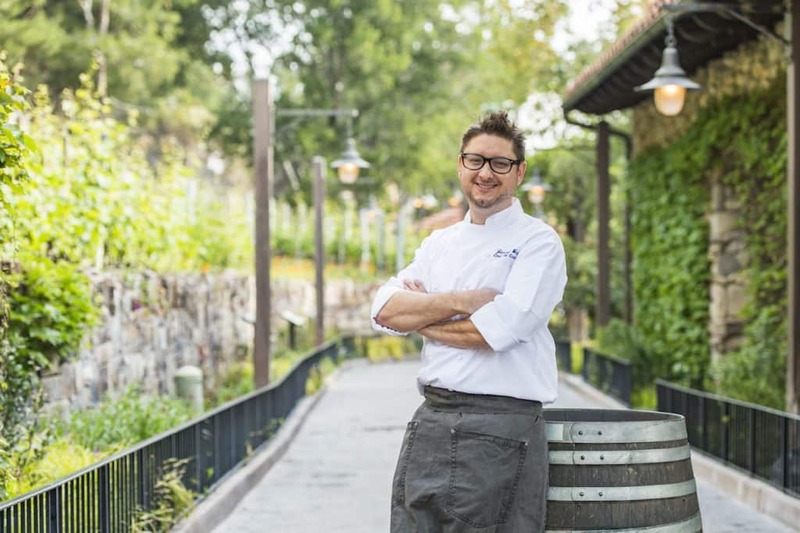 Each of the chefs and sommeliers that will be your hosts for the evening have been featured in our most recent Disney Festivals Cookbook, which features popular recipes from the Disney California Adventure Food & Wine Festival. The dinner itself celebrates storytelling through food and wine, and consists of four courses with dishes from the cookbook that reflect cuisines from Southern California. Each course is a new delight and each is paired perfectly with a hand-selected beer, wine, or cocktail. At the end of the dinner, the chefs and sommeliers will be available for photo and autograph opportunities. 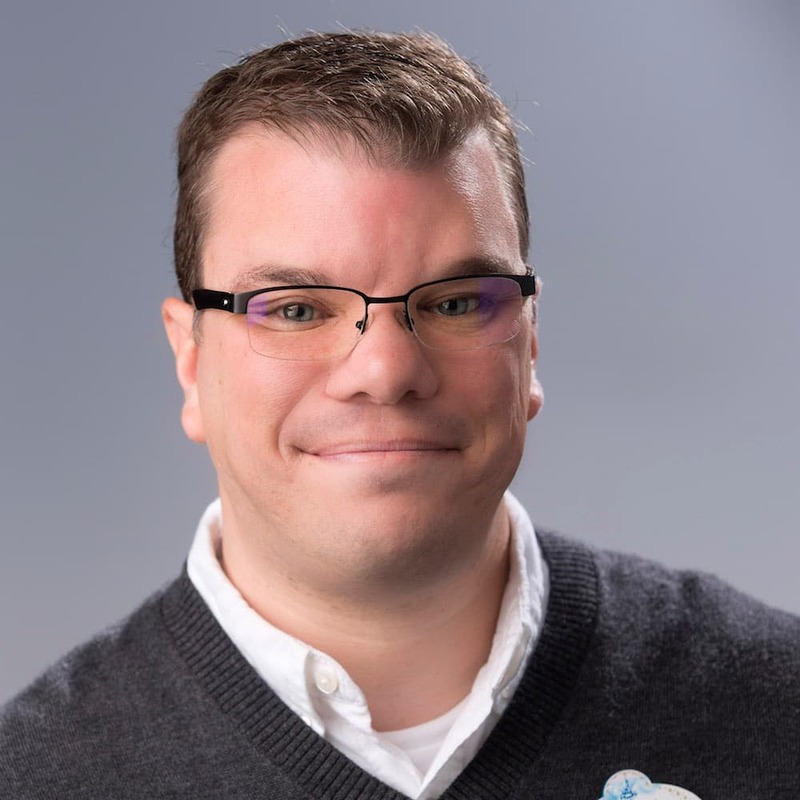 We asked Jimmy Weita, chef de cuisine of Park Events and Festivals at Disneyland Resort, about what he has planned for the dinner. 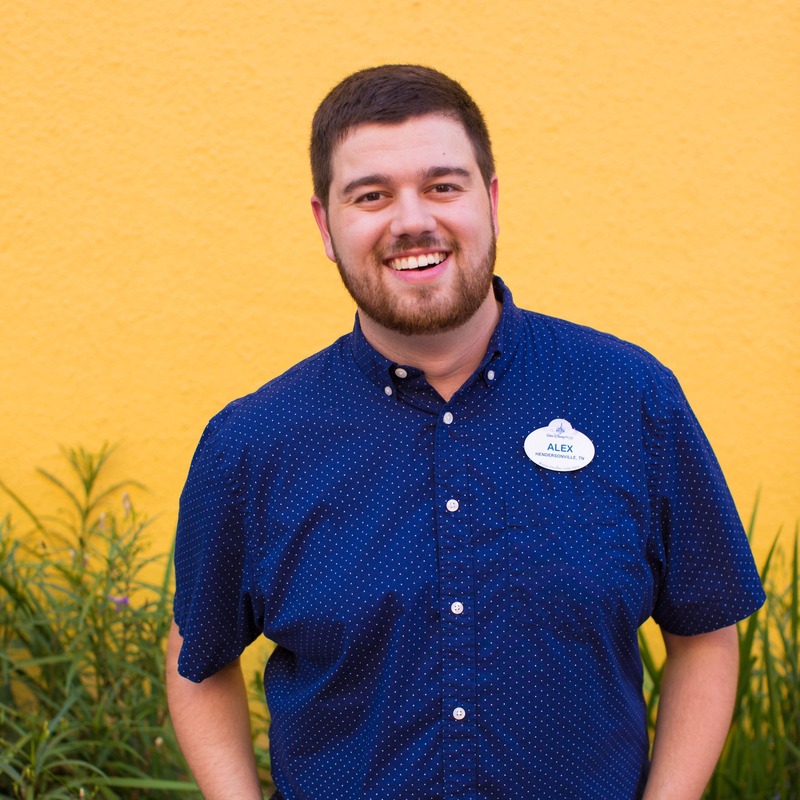 “This dining experience will be a fun and completely reinterpreted version of our festival cookbook dishes, reimagined into a fine dining restaurant experience,” says Chef Jimmy, “The Disney California Adventure Food & Wine Festival has become known for its creative culinary mash-ups, and I’m really looking forward to sharing the melting pot of cultures and cuisines that can be found throughout Southern California.” Chef Jimmy is the one of the creative minds behind all of the savory dishes at this year’s festival, and is one of the chefs that will be in attendance at the dinner. This one-in-a-lifetime dining experience occurs on Thursday, March 28, 2019, from 6:30 to 9 p.m. in The Vineyard Room at Wine Country Trattoria. Reservations must be made in advance and space is limited, so be sure to book today! For more information and to make your reservation, you can visit the Disneyland Resort website or call the Disneyland Dine Line at 714-781-DINE (714 781-3463). The Disney California Adventure Food & Wine Festival runs through April 23. You can check out my official Foodie Guide for all of the fabulous marketplace menus at this year’s event. In addition, I have a yummy Disney California Adventure Food & Wine Festival recipe to share straight from the Disney Festivals Cookbook: Shrimp Boil Tacos. These tasty tacos can be found at the Off the Cob Marketplace located near Golden Zephyr and come with andouille sausage and fresh corn. And did I mention they’re also gluten-friendly? Now you can make these delicious tacos from the comfort of your own kitchen with the recipe below! 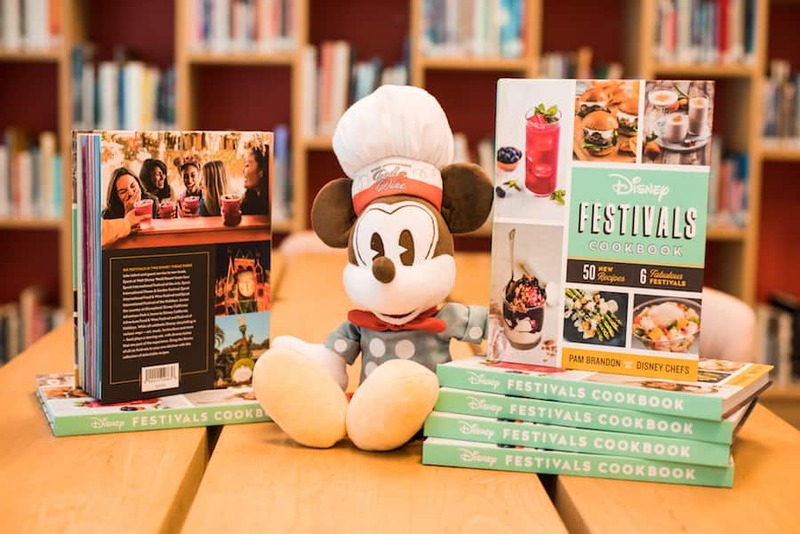 If you’re interested in purchasing the cookbook, it can be found at Seaside Souvenirs and the Studio Store at Disney California Adventure Park as well as various merchandise locations throughout Epcot at Walt Disney World Resort. Peel and devein shrimp. Remove tails and cut shrimp into bite-size pieces. Melt butter in large skillet over medium heat. Add Old Bay, Cajun seasoning, paprika, cayenne and garlic. Cook for 1 to 2 minutes, or until garlic and spices are fragrant. Add shrimp and cook 3 to 4 minutes, or until pink and opaque. Add sausage and corn and cook for 5 minutes, until heated through. Heat oil in large skillet until shimmering. Add tortillas in batches and cook for a few seconds on each side, until soft and warm. Drain on paper towels. Top fried tortillas with shrimp mixture. Garnish with chopped cilantro. What to drink: A Riesling with a hint of sweetness will cool the spiciness of the andouille sausage.